While in the Lindos area, it would be a crime not to pass by and see St Pauls Bay in Rhodes. In my opinion this is one of the nicest beaches/bays on the island and if you are looking for a place to relax, this is it. 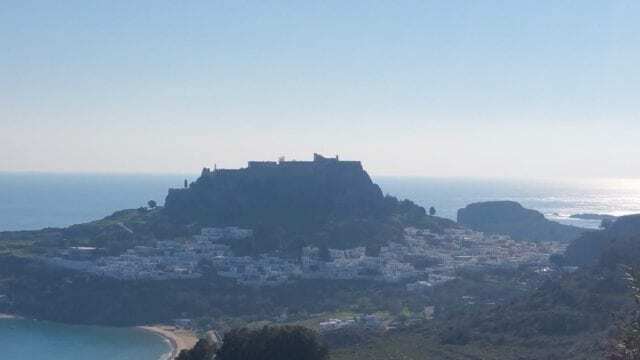 While the main beach in Lindos is quite magnificent, you will find St Pauls Bay (also known as Agios Pavlos Beach) a lot more peaceful and with less in the way of crowds. I love it here and have spent many an afternoon soaking in the sun and enjoying the crystal clear blue waters. This bay is named St Pauls Bay as it is said that St Paul The Apostle himself arrived on the island in this location back in 51 AD. From here he went on to preach the Christian Faith to the Rodian people. This bay is located just South Of Lindos and this makes it a place to relax while enjoying magnificent views. The bay is overlooked by the amazing and ancient Acropolis and The White Village Of Lindos. The Lindos Acropolis itself stands in magnificent form and can be seen clearly as you relax on the beach or swim in the warm waters. Enjoying a nice afternoon while looking at thousands of years of history before you is an amazing experience. If you think you have ever been to the beach, you will rethink it after seeing this location! What I like most about the small beaches in St Pauls Bay is the fact that they are so secluded. You can find this area very easily and it takes you into another world. All the bay is surrounded by beautiful rocks which protect you from any wind. There is only one small gap within the rocks on the North side. This is enough for the small boats to arrive and depart as needed. There are actually two small beaches within the bay but in all honesty, both of them offer pretty much the same experience. They are secluded from the outside world, and they offer beautiful blue and shallow waters and are made up with beautiful golden sand. One of these beaches is at the Southern end of the bay, and the other at the Northern end! Because of the shelter from the surrounding rocks, the water within the bay gets beautiful and warm which makes it a real treat to go swimming. It is also perfect to put on your snorkeling mask and take a swim and a look under the water surface. There are lots of fish to be seen swimming among the beautiful rockery. There are no other water sports that take place here. Take care when visiting St Pauls Bay. It can get extremely hot, so you need to take precautions. It is easy to get caught out and suffer with severe burns. Take sun cream, a sun hat and lots of water. You will need them. Also, pay close attention if you have children with you. Sometimes when you are swimming and having fun you can forget about your safety. Sometimes the temperatures here can be in excess of 40 Degrees Celsius, so do not get caught out! While visiting St Pauls Bay it is hard not to notice the lovely small Chapel Of Saint Paul. A stunning whitewashed little structure that sits on the edge of the beautiful blue water. Due to its location and stunning quaint appearance, it is of no surprise that it is used for weddings. This perfect spot makes for the ultimate wedding photographs. In actual fact, as far as Rhodes is concerned, this bay is one of the most sought after locations when it comes to weddings. Kalithea Springs is the other one. The bay is only a 3 or 4 minute walk away from The Village Of Lindos, so in all honesty you will find a lot in the way of restaurants and bars to take a bite to eat or have a drink! Around the bay itself you will also find a couple of small tavernas which will offer simple snacks. There are also sunbeds, toilets and a good car parking area to make your stay more enjoyable. In my opinion, this location is one of the nicest places to come and relax. There are of course other beaches such as Lindos Main Beach and Tsampika Beach. These are great too, but they really attract the big crowds. This is not a bad thing, but if you are looking for a quiet place to enjoy the sun and have a swim, I would choose St Pauls Bay every time. So, have you visited Rhodes and experienced the beauty of St Pauls Bay? 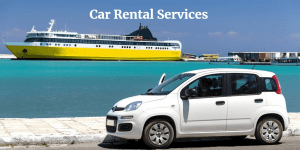 Are you planning a visit to the island? Either way I would love to hear from you. I welcome all of your thoughts and it is always nice to know what you think! Just leave me a comment below and I will get right back to you. 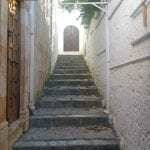 Learn Lots More About Lindos And Its History. Click Below To Continue Your Tour. Seriously though, your article made me long for vacation time and you never know, I might meet you in person sooner than you think! The video is very inviting too don’t you think 🙂 I love this location. Get your swim suit ready! Thanks, nice to hear from you again. HI Chris and thank you for sharing this. I had not heard of St Paul’s Bay in Rhodes before. I agree it definitely is a very pretty place. I can see how many people love to spend the day there and as an added bonus you get to admire the ancient Acropolis and The White Village Of Lindos – what a great package deal!! It is nice that there are cafe’s there to sit and relax and get an ice-cream. I was just wondering how often do you get to visit this wonderful spot? Hey Glenys, thank you for visiting once more. I hope you are keeping well! It is a beautiful spot here at St Pauls bay yes, but unfortunately I do not get to see it myself and to relax there very often. The summer time is busy for me, and free time can become a little scarce with all the work I have going on both on this site and other things. My free time is of course during the winter, and it is not always the weather to relax on a beach then. This bay sounds amazing and I love the fact that it is secluded and yet has rocks that help to block the wind. This would be my dream vacation. I love the fresh air and the gorgeous blue ocean. Nice quiet and beautiful place to relax. We need more areas like this where I live. This is one of the attractions of this bay. In Rhodes some of the beaches can suffer somewhat when it is windy, but this place is different. You need to be careful though, it gets very hot because of the small amount of wind and it is easy to burn when laying in the sun. Make sure you take precautions if you visit. It is beautiful though, and well worth a visit should you ever visit the island. I love the opening picture. At first glance, this looks like a small pond, but when you take in the perspective, it is clear that the volume of the water is considerable. I particularly like the history associated with the bay. I would love to walk in the area where the 13th Apostle visited. That is one of my main reasons for visiting certain places. I love contemplating what happened and the background of historic places. Hello Ernest and thanks for getting in touch. 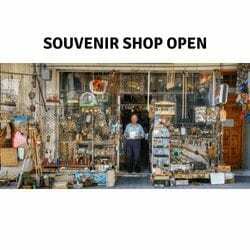 If you love to look back in time and see what things were like in the old days, then Rhodes is a great place to do that. There are many ancient sites here that will take your breath away. 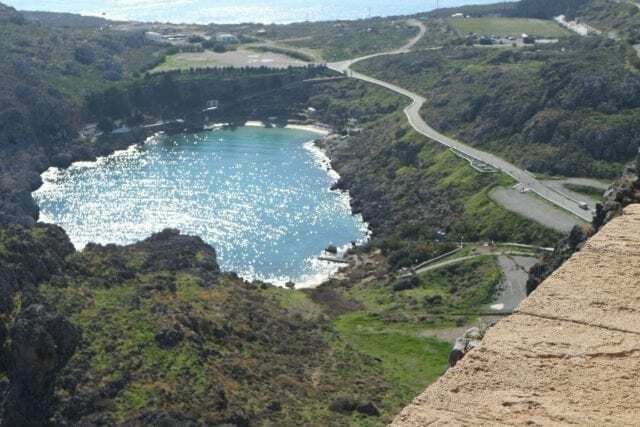 St Pauls Bay has its history too as you have read, and it is a great place to see and visit. The crystal blue waters being overlooked by the towering Acropolis is quite a thing to witness. Thanks Ernest. It is nice to hear from you. St Paul’s Bay looks and sounds like a great place to spend some time to get away from it all. 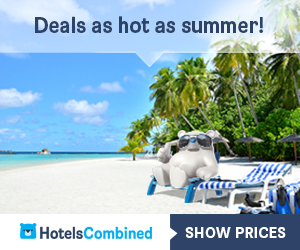 Are there decent hotel accomodations close to the beach that you could stay at without traveling far? If not do they allow camping in the area? Thanks for your write up of the area. It sounds great. Hello my friend and thanks for your questions. First of all, camping is actually not allowed on the island of Rhodes at all. Many years ago there was a campsite here, but it has been removed. Camping actually is a big problem for the island. Temperatures get very hot, and in the past this has led to fires from people that were camping. As for the hotels, there are lots of them all around the area. There is no issue with you being able to find accommodation. You will find everything from small villas right up to the 5 star resorts. Thanks and I hope this helps you. I have been thinking of taking my mother on a vacation . I have to admit St.Pauls Bay looks like a beautiful place to go. I love the visual pictures on this site. My mom is 65 years of age and at times has problems with the heat. Do you think it would be too much heat for her to handle on this area of Rhodes or would you suggest I take her to another area on the island? It is understood that the East side of the island is a lot hotter than the West coast. While the West coast tends to have a nice breeze more often than not, and the East can be a little more uncomfortable if you are not ready for it. The difference between the two sides can be over a few degrees Celsius sometimes. 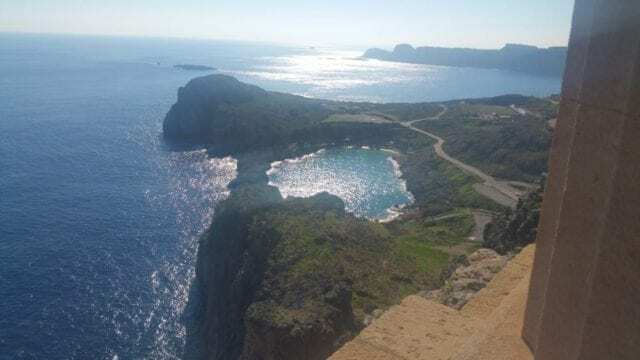 For example, at one point last summer, the temperature on the West coast down towards Kamiros was 32 degrees Celsius, and at the same time in Lindos and St Pauls bay is was 44 degrees Celsius. If your Mother does not like the heat, then Lindos and St Pauls Bay is fine if you come in May time, or even in October… Between these times she might find it a little too much. Thank you for this information. I’ve been wanting to plan a vacation to Greece and am still trying to figure out exactly where it is that I want to go. Reading your posts has really helped me narrow down some areas that I’d like to see. St Pauls Bay looks amazing, and to think that I’d never even heard of it. Thanks again for your awesome recommendations! Rhodes is definitely a number one destination for millions of people worldwide when it comes to planning their vacations. My wife and I are planning to go to Greece shortly (I hope some time along 2018), so I think I’ll keep this one in mind as a possible option. What time of the year do you think is better to go there? Is that area very crowded during the summer? Yes it can get very busy in the summer months. It all depends on what you like. People are different. If you do not mind the crowds, then July and August are great as the temperatures are at their highest at this time. If you do not like it too hot, May, June, and even October are good times to visit. It can be a balancing act sometimes. 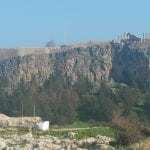 If you look at The Climate Of Rhodes section, there is some information here with regards to the best time to visit. Lots of people ask this, so check out the comments section there too and i am sure you will get a better idea. Thanks Israel, and I hope to see you here in 2018. Let me know if you need something more. St Paul’s Bay seems like the perfect place to have a vacation. I love Greece and its wonderful Islands. I have the fondest memories of my visit to Crete, with my then girlfriend back in 1985. 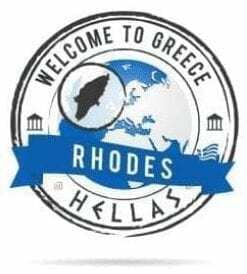 I’ve yet to visit Rhodes but would dearly love to, especially after your endearing description of Lindos and the Acropolis on high. 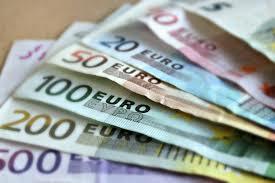 Tell me, how are prices in Greece these days? Has the economy picked up or is there still a burning financial crisis? Hello Goran. Nice to learn you have visited Greece before all be it a long time ago. Crete is also a wonderful island and I have many friends that live and work there. I will be visiting this summer at some stage, although it is not 100% planned as to when at the moment. In answer to your question, yes the financial crises has made things more difficult. Although this is the case, the islands do not seem to feel it as much as the mainland of Greece. Certainly as a tourist on the island, you would not understand that things were tight. Things will get better for sure. But no matter what, you cannot break the spirit of Greece and people are always welcomed with open arms. 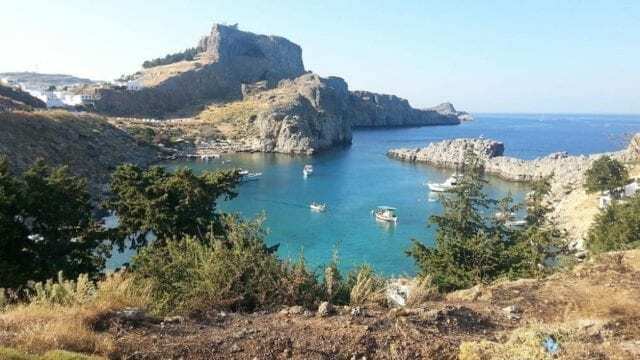 Great article, you have given so much info about St Pauls Bay In Rhodes. Greece is on my must visit list, and Rhodes is among the top places I want to visit! You mentioned that it gets pretty hot there. Is it hot all year round? Or do you get a winter season? When planning a trip, do you have a “tourist season”, or are you busy all year? I would like to plan a trip so I can still enjoy nice weather, but maybe miss the crowds. Hi Brendon. Great to see you here and thank you for your questions. 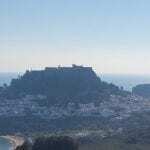 The island of Rhodes operates all year, however there is a summer and winter period yes. The summer season for the tourists starts in April and finishes at the end of October. During this period you will find all the facilities available to you and all the beaches (such as the beach here at St Pauls Bay) are open. You can of course use the beaches in the winter months too. Naturally it is not as hot, and there are days with rain, but there are also nice days to enjoy a swim and a sunbathe. When it comes to crowds, I know how you feel. I am not a big fan of them either. If you want to avoid these but still enjoy some nice weather, then May and June are good times to visit. The end of the summer period too is always a nice time to plan for. October still offers some wonderful weather and the big crowds have been and gone at this time. I hope this information helps you out Brendon. Let me know if you need something more. What a beauty! After reading your post and watching the amazing video of St Pauls Bay in Rhodes I wanted to return to Greece! I think it is great that the bay is not over-commercialized (as there are not so many activities offered) so it is possible just to enjoy the beautiful view and rest properly. I liked that you mentioned there is sand on the both of small beaches as it is quite important for families with children. This is actually a thing to pay attention to as there are quite many rocky beaches throughout Greece. When we went to Pelion a few years ago we didn’t pay attention to this and found ourselves in Chorefto – a picturesque and beautiful village but with rocky beaches. So we had to drive about 10 km through mountains (that was about 40 minutes long drive 🙂 to the next village with a sandy beach so our children were happy. Hello Arta, I completely agree with you here. I am not a big fan of beaches that are filled with pebbles and stones. They hurt your feet and it can often be an uncomfortable experience. When it comes to children, you really need to pay attention to this. Kids love building sand castles right? On the sandy beaches you see a lot of children enjoying themselves. They of course do not have a bad time on other beaches, but if they are sandy they have a lot more fun! I have actually been to Pelion too. I have a friend that lives on the Greek mainland in a place called Lamia. I went there with him when he was buying a car. It is a nice area too. Thanks Arta. It is nice to hear from you again. I can see you are here quite regularly. 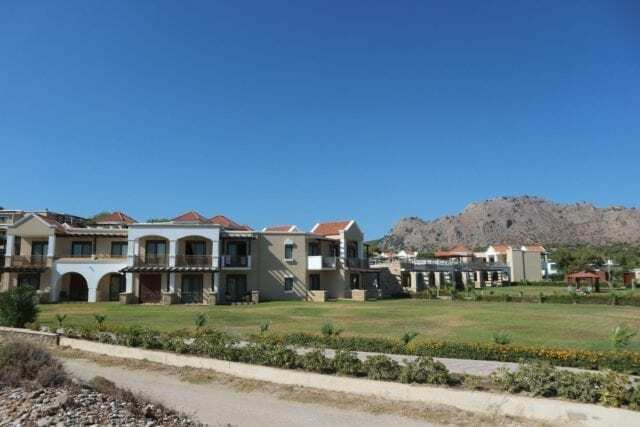 I recently read your article about the village of Paradisi in Rhodes and this looks like another beautiful location! I love to snorkel, I’ve been snorkelling all around Cyprus, but I would really like to try snorkelling in Rhodes too. I’d definitely have to bring an underwater camera to this place and plenty of sunscreen, as I do burn easily! Thanks Joann. Nice to see you here again! If you have access to an underwater camera then you will be able to capture some really nice footage here in St Pauls Bay! A lot of the area is with quite shallow waters, and even to snorkel you will see some breathtaking views under the surface. Capturing them on camera would be a really great thing to do. You have a great idea there Joann! I’m really glad I came across this page. I’ve been planing to visit Rhodes for quite some time now, but haven’t quite decided yet, because I know it can get really hot during the summer. A question for you. When do you recommend visiting? I’ve been thinking maybe May or September, because it’s probably not so hot and not so crowded with tourists. Or am I wrong? I think this would also be the best time to visit St Pauls Bay and other beaches! Hi Ziga, thanks for passing by and for your question. A lot of people do get in touch with me with regards to the temperatures. To be honest, it can get very hot in the summer months here and July/August time can be punishing if you are not used to it. If you take a look at my Climate Of Rhodes section, you will find lots of information with regards to the weather. I am sure your queries will be answered here. As for St Pauls Bay and other beaches, again they can be very hot in the high season. It all depends on the individual. But if you want to avoid the crowds and the hot sun, then Maybe and October are perfect choices. Thanks Ziga, and let me know if you need anything else.